Does your company have a policy or arrangement in place that allows for carers to balance work with their care responsibilities? Our approach is a simple one: we take time off work, as required. Our directors have both shared caring duties for frail parents with their respective siblings in recent times. Our flexible approach currently works fine as we are a small organisation and are able to discuss problems either face to face or via phone and text if the situation is unexpected. Should this prove insufficient in the longer term, the situation would be discussed within the team and steps taken to help as much as possible. If regular caring duties become permanent, for example, it will be possible to fundamentally change the way the carer works, including different work patterns, work place and hours. The guiding principle is that the welfare of loved ones is of greater importance than the day to day work at PTE Ltd. And further, where there is a will there is a way, so we will balance the needs of the business with our caring responsibilities, subject to change in circumstances and subsequent discussion. Changing demographics and an ageing population mean that some six million people in the UK are caring right now and this number will grow. A carer provides unpaid support to a relative, partner, friend or neighbour who is ill, frail, disabled. Anyone may become a carer, at any time. Indeed, one problem is that many people do not identify their own caring role because, first and foremost, they are a husband, wife, partner, parent, sibling or friend. Balancing multiple responsibilities inside and outside the workplace, however, may impose great pressure on the carer, even with support. In the UK, 1 in 5 carers give up work completely so as to care full time. Carers who provide high levels of care are also twice as likely as non-carers to have health problems themselves. Those providing care over a long period are at particular risk of poor health and those caring over 20 hours a week are more than twice as likely to have mental health problems. (See Facts About Carers). Supporting carers in the workforce need not be difficult, disruptive or expensive. Many develop new skills that actually benefit their employers, such as good time management, competence in handling unexpected situations and developing strong empathy and communication skills. Carers are likely to need a range of support, though, at different levels at different times. Small but thoughtful changes, such as access to a telephone or a private space to check on the person they are looking after, can make all the difference both to the carer and to the business. Alternative work patterns and/or other flexible working practices can also be helpful in addressing the range of individual circumstances. Paid leave (for both emergency and scheduled caring) or a sabbatical may help carers to balance their responsibilities. Such a policy may incidentally also lead to a reduction in general staff turnover and absence, improved productivity and a reduction in staffing costs. In many cases these are temporary arrangements but if caring is judged to be a long-term commitment, it might be necessary to consider a job move or a job share. While childcare responsibilities are for a fairly standard period, with recognised milestones, caring is more complex and unpredictable. The circumstances may occur gradually or as a sudden emergency, the responsibilities may be short or very long term and they may be deeply distressing for all those concerned. Individual support for carers therefore needs to be tailored to fit personal requirements within reasonable work parameters. In larger companies, a review may be through a workplace audit or a regular job assessment but in smaller companies a one-to-one discussion may be sufficient. Since April 2007, carers in the UK have had the right to request flexible working but evidence suggests that awareness of this right is still relatively low. The Equality Act 2010 includes important provisions to extend protection against discrimination and harassment to people who are 'associated with' a disabled person, in effect giving carers rights in the workplace and as recipients of goods, facilities and services. However, it is not only carers who need support. Managers and colleagues, also, may face challenges in balancing the needs of the carer, the business and the work team. Often the first step is for a company simply to recognise that caring is an issue, particularly as so many carers don't identify themselves as such. It can be a hidden cause of stress, poor performance, absenteeism or early exit. It is relatively simple to obtain information from staff about their care problems, for example, by posting something on the office notice board or adding a link to the company's intranet. Beyond this, employers might also consider specific training for managers. 'Carers' are employees with significant caring responsibilities that have a substantial impact on their working lives. These employees are responsible for the care and support of disabled, elderly or sick partners, relatives or friends who are unable to care for themselves or require consistant support. As an organisation, you might find it helpful to have your own definition of carers. This is particularly useful if you are looking to develop a specific carers policy. It can also help when distinguishing between the needs of those with caring responsibilities and those with childcare responsibilities. 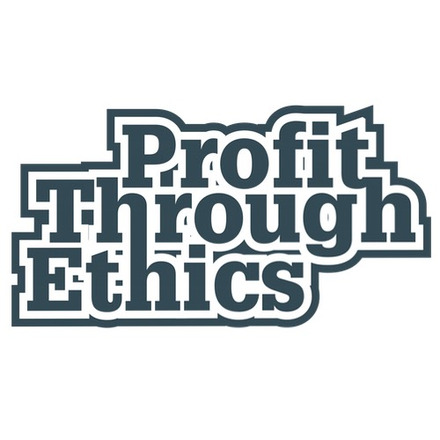 Profit Through Ethics answered Version 1 of this question. It has since been updated to Version 3. View a side-by-side comparison of the changes to the question here.